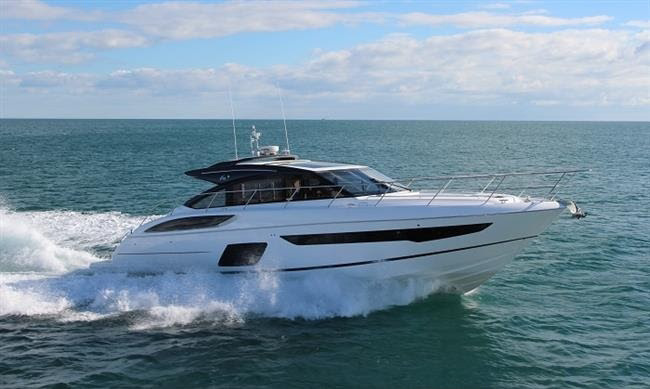 First look at the new Princess V58 ! 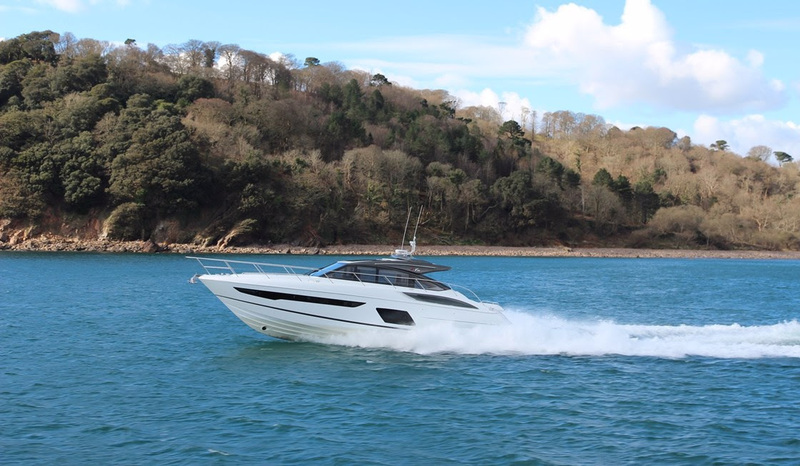 In the wake of the introduction of the acclaimed Princess V58 Open this past fall, we are pleased to share with you the first images of the new Princess V58 with enclosed salon. The enclosed salon model can be climate controlled or opened to the elements via triple sliding aft doors and a retractable sunroof. 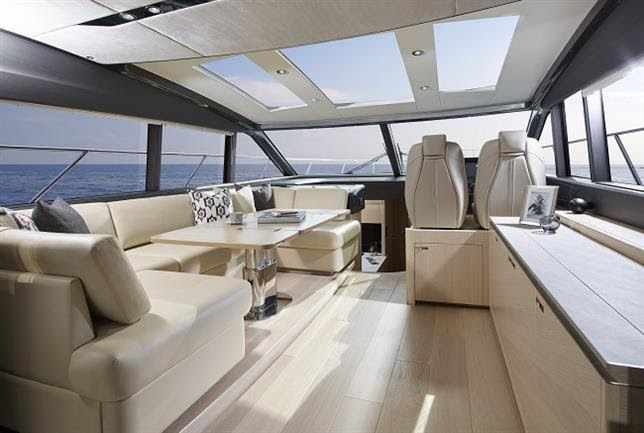 The main deck salon comes complete with a generous U-shaped sofa around a dining table. There’s also a sideboard unit with glass and bottle storage and refrigerator opposite. A 46″ LED TV on an electric raise/lower mechanism completes the amenities. Her large, dynamic hull windows let light pour into the beautifully appointed lower accommodation. She offers a well equipped galley and lower salon with dining area. 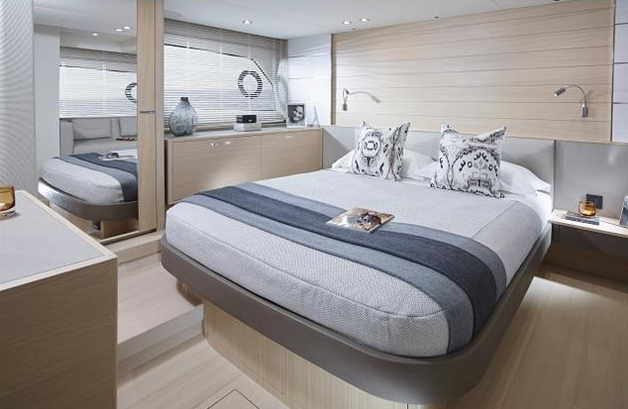 In addition there are three spacious staterooms, two of which enjoy an en suite head. The first V58 bound for North America will be making her premiere appearance later this year at the 2016 Fort Lauderdale International Boat Show, which runs November 3rd to 7th. Until then, be sure to check out the Princess fleet at the Palm Beach International Boat Show going on this weekend in West Palm Beach, Florida. We look forward to welcoming you! Next Entry Great Cold Day for a Survey: 48 Viking in Cape May.